We started off with 6 of the worst elf and safety bungles from last year – well, there’s more to come! Hopefully we can all learn something useful from them – and set ourselves some great resolutions to make 2015 better than ever. Or at least, a little less accident-prone! Not all dangers are immediately obvious – some of them can be going on under your nose for years before you realise their real impact. Workers who’d been using vibrating tools for over a decade found themselves left with irreversible Hand Arm Vibration Syndrome. It could have easily been avoided – if their employer had checked the levels of exposure – or recognised when some of the employees had already started showing symptoms. Sometimes people really do take the Mickey. In August, a landlord in Slough finally felt the law catch up with him after he’d exposed his tenants to gas faults that he hadn’t bothered to check. And how long had they been going on? Remember – landlords have a legal duty to have gas appliances checked every 12 months! This month saw a real whopper. Rolls Royce lost a radioactive source at their plant – exposing their workers to seriously high levels of radiation in the process. That’s a botch of Homer Simpson proportions. And it could have been avoided with a sufficient risk assessment, and proper training for the monitoring equipment. Exposure to harmful substances isn’t just a risk for those who work with industrial materials and chemicals, as a vet’s case in October showed. When workers at the surgery were exposed to improperly handled animal chemotherapy drugs – they discovered that their own health had been put at risk. Wherever you work, make sure there’s a proper system in place to prevent or minimise the risk of any kind of exposure. And if you’ve got things like fume cupboards, make sure they’re properly maintained – and that staff know how to use them! Showing that asbestos is still a real and serious risk – in November, a County Durham contractor found himself at the wrong end of the law – when he foolishly decided to take out asbestos from a garage himself! It gets worse. He took no safety measures – but simply bagged it up in a bin liner and vacuumed the debris. Not only was this plainly stupid – he also endangered the lives of himself, other workers, and the householder. Moral of the story? Don’t treat asbestos lightly! Make sure you are always fully compliant with all the controls needed, and that you have an asbestos license if required. Let’s just say the year ended in style – with a whopping £590,000 fine for the National Coal Mining Museum Trust. What did they do? It goes back to a pretty nasty and tragic accident in 2011, when a worker digging tunnels was fatally crushed between a forward tipping dumper and a tunnel construction machine. Horrible. And worse – avoidable. Before using any kind of machinery, make sure you’ve done a clear risk assessment first. And that you’ve met all the safety requirements. And for Pete’s sake – always have an accessible emergency stop function! That’s 2014 done and dusted, with lots of hard lessons to learn. Here’s to a fantastic New Year – let’s hope we don’t see so many clangers this time around! 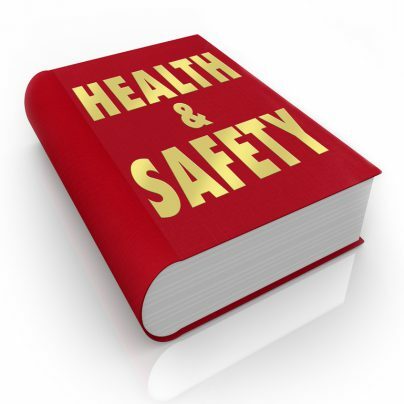 Are your Safety Measures Siphoning your Resources?